You know Shavuot is coming when you begin to see cheesecakes everywhere. Countless variations in the bakeries and supermarkets. Endless numbers of recipes in the media. 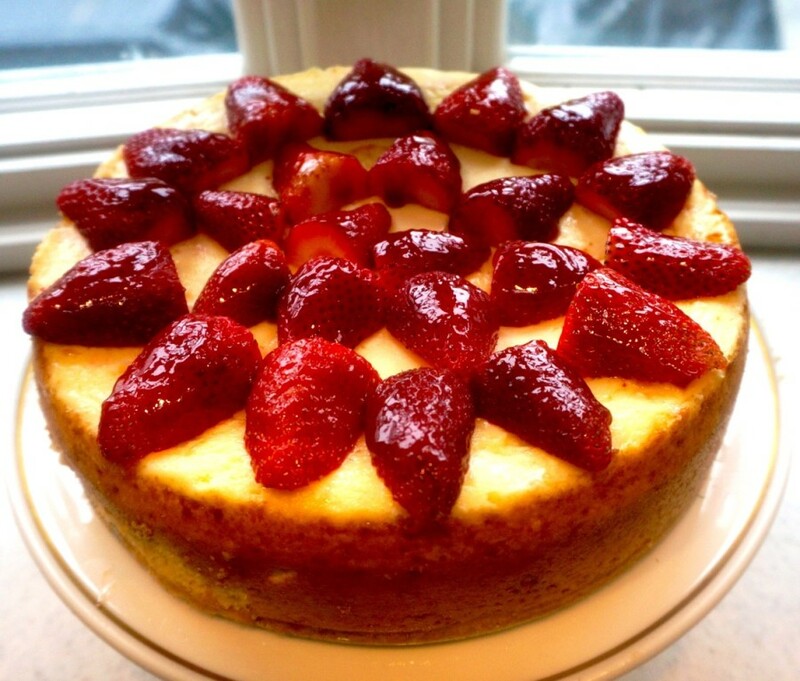 Cheesecake is the iconic Shavuot dessert, as sacrosanct as a Hanukkah latke or Passover matzah ball. 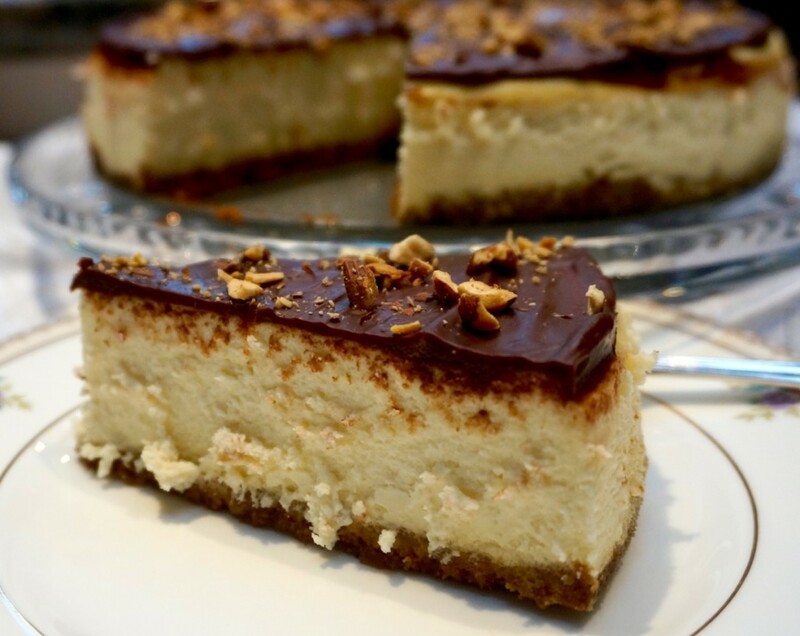 Unfortunately, cheesecake is one of those deceptively simple recipes, the kind that requires some tips and techniques to get right. Also, not everyone agrees on what makes a cheesecake perfect. Some like it dense, others, fluffier. Purists say it should be simple, but lots of people prefer it fancy, with flavors, textures and toppings. 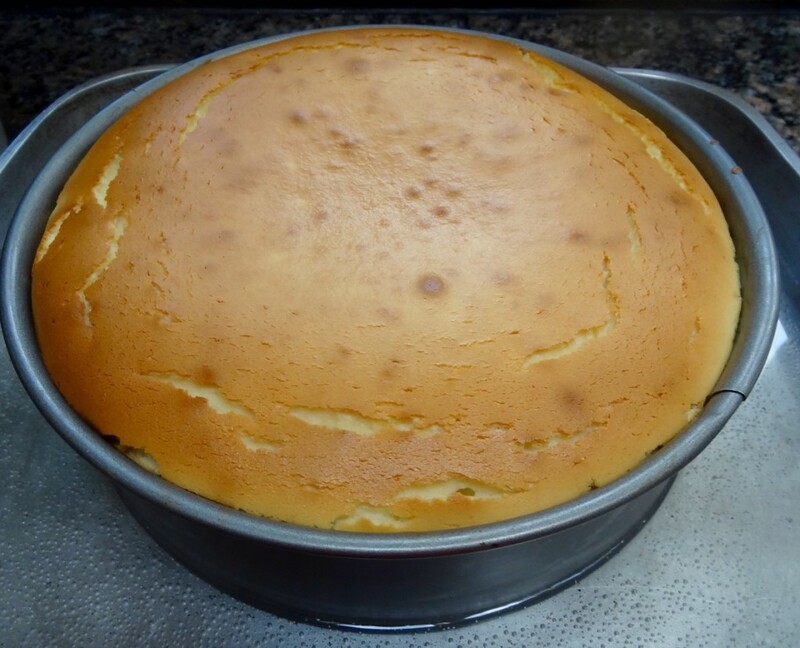 Long ago I created a basic batter that works for almost any type of cheesecake you can imagine. In our family we prefer a dense, rich, creamy version so I use all cream cheese. But sometimes I make a slight change to lighten it up (using one cup of ricotta cheese to replace 8 ounces of the cream cheese in my recipe). We like it slightly tangy too, so I usually include sour cream (or unflavored Greek yogurt). But if I don’t have either of those in my fridge I substitute with an additional 1/2 cup of cream and add a tablespoon of flour to bind the batter together better. Chocolate Cheesecake: add 10 ounces melted, cooled semisweet chocolate to the batter. Half-and-Half Cheesecake: add 5 ounces melted chocolate to half the batter, spoon the chocolate batter into the pan, then carefully spoon the vanilla batter on top. Pumpkin Cheesecake: replace white sugar with brown sugar; omit the sour cream and replace with 3/4 cup mashed pumpkin (canned is fine); stir in 1-1/2 tsp ground cinnamon, 1 tsp grated nutmeg, one teaspoon ground ginger and one tsp grated orange peel to the batter. Berry topped cheesecake: place whole berries on top of cooled cake, brush with melted apricot preserves or currant jam. 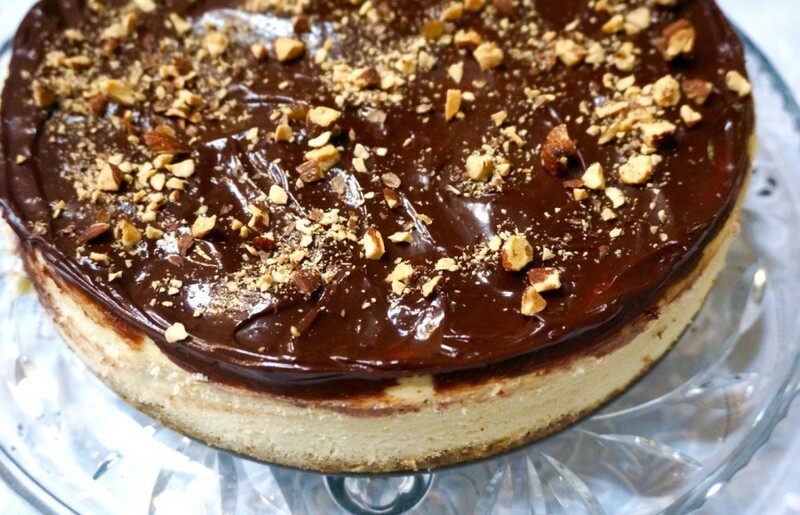 “Turtle” cheesecake: omit the graham cracker coating for the pan. Instead, make a bottom crust by combining 1 cup crushed graham crackers with 1/4 cup brown sugar, then work in 4 Tbsp butter until crumbly. Press into the pan and bake (no need for the second pan yet) for 10-12 minutes. Spoon in the basic batter and bake as in the basic recipe. Let the cake cool. For the top: heat 1/4 cup cream until hot, add 3 ounces chopped chocolate and stir until melted. Let cool slightly and spread over cool cake. Scatter 2 Tbsp chopped nuts on top. Optional: pour caramel sauce on top of cut slices of cake. Preheat the oven to 350 degrees. 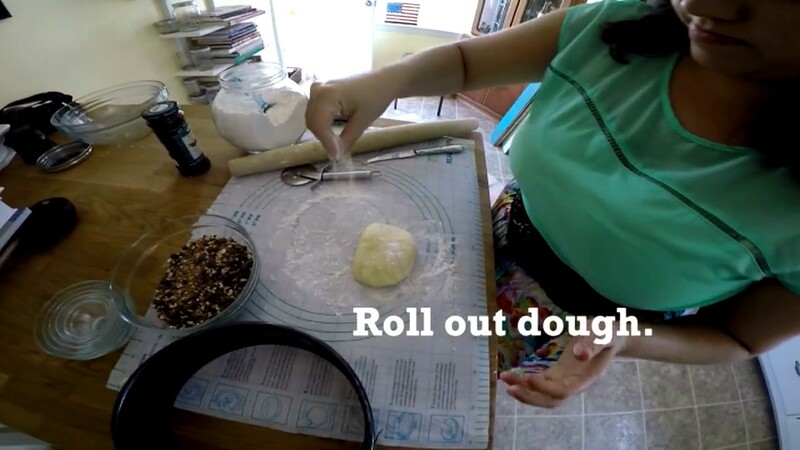 Spread the butter on the bottom and sides of a 9-inch springform pan. Sprinkle the inside of the pan with the graham cracker crumbs. Shake the pan to coat the bottom and sides of the pan completely. Beat the cream cheese in the bowl of an electric mixer set at medium speed for 1-2 minutes or until the cheese has softened and is smooth. Gradually add the sugar and beat for 2-3 minutes or until the mixture is smooth, scraping down the sides of the bowl occasionally with a rubber spatula. Add the vanilla extract, sour cream and whipping cream and beat for one minute or until the batter is smooth. Add the eggs one at a time, beating after each addition to incorporate them. Pour the batter into the prepared pan. Place the springform pan inside a larger pan. Fill the larger pan with enough hot water to come at least 1-inch up the sides of the baking dish. Bake the cake for 65-75 minutes or until the top of the cake is tanning lightly. Remove the springform pan from the water and let the cake cool in the pan. When the cake has reached room temperature, refrigerate it at least 4 hours or until it is thoroughly chilled. Remove the sides of the pan to serve.